Have you ever heard the expression “the journey of a thousand miles begins with a single step”? It’s attributed to both Confucius and Lao-Tzu, but whichever one of them said it, he had the right idea. And we’re going to borrow it right now to get you on the journey to making easy and healthy substitutions when you cook and eat. No need for your hiking boots… slippers, sneakers, high heels or bare feet… they’ll all get you there. At some point in time butter became the enemy. During the 1970s people blamed it for everything and then ran to margarine. When margarine turned out to be not the world’s best choice, people ran back to butter. In moderation. Which made sense. You can’t beat the flavor of butter, as long as it’s the real thing. But how to use less of it? 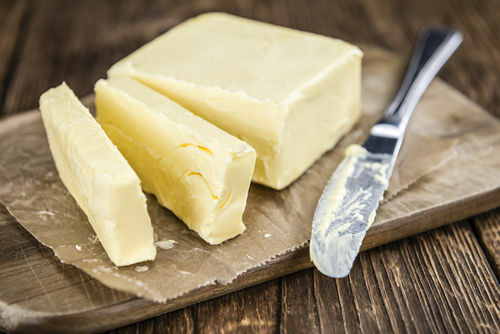 You can use butter along with olive oil or canola oil or peanut oil when you’re cooking. When it comes time to “butter” the bread or muffin or bagel, how about cream cheese instead? Or unsweetened jam or jelly? Or Willy’s favorite… peanut butter! What about that olive oil? First off, you want it to be EVO. That’s not a brand name. It stands for extra-virgin olive oil. If the bottle doesn’t say “extra-virgin” it won’t have all the antioxidants that you’re looking for. It’s the staple of the famous Mediterranean diet which just about everyone agrees is the best for your heart. What you do have to know is that the taste and price vary drastically. Ideally, you’d like to buy the highest quality that you can afford. 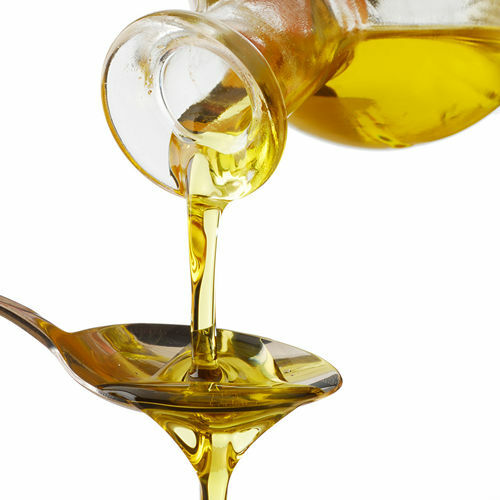 What you might not know about olive oil is that it comes in flavors! You can buy it flavored with basil or garlic or bacon (!) or chipotle… the list goes on. You can learn how to flavor or “infuse” your own, too. Let the kids take a hand in this. You might just create something wonderful! Did you expect to see avocados here? They’re so yummy and so good for you! In moderation! They’re good in salads and even as a spread on breakfast toast. You can use slices of one instead of mayonnaise or cheese on a sandwich. They’re nice and creamy. They’re high in mineral content and have a good dose of vitamins, especially vitamin B and vitamin E. They’re also a great source of unsaturated fatty acids as well as dietary fiber. 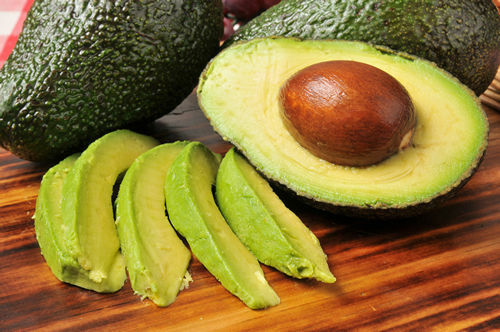 And the big surprise is that the avocado is a fruit and not a vegetable. If you live in the right climate you can buy a tree and grow your own. Another family project. And don’t forget that you can put those avocado pits in a glass of water – held up by toothpicks – and watch it grow beautiful leaves. It’s fascinating and fun. 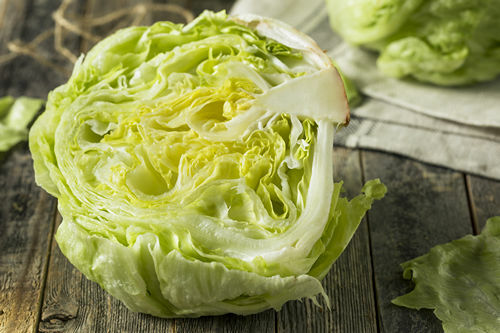 What is an iceberg lettuce doing here? Most of us grew up eating it and it still has a crunch that you can’t beat. Some sandwiches almost cry out for it. But it doesn’t have much nutritional value, as you probably know. There are much better greens that are better for you. Spinach, kale, escarole (which is a little bitter), arugula, Bibb lettuce, endive, and the very versatile butter lettuce, to name just some of them. If you sense that your group is going to protest to having the iceberg lettuce banished, you can use some in a mix with the others. Then use olive oil to make that salad dressing and prepare to see empty plates! 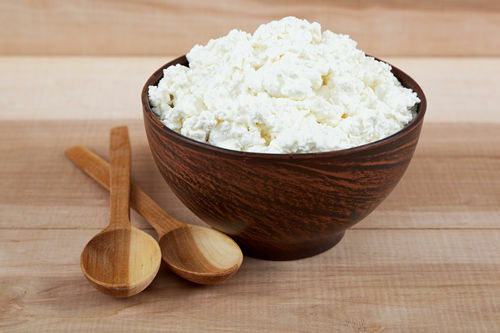 Do you know how much you can do with cottage cheese? It’s not just that mound of white stuff that used to show up on diet plates in restaurants! Read the label and make sure you’re getting the low-fat kind. Then you can use it in place of sour cream on a baked potato, or instead of ricotta cheese in lasagna, or when you bake a cheesecake, or with any kind of fruit for a fruit salad, or on some whole wheat toast with jam on top, or you can drizzle it with honey and cinnamon and stick a cherry on top for dessert! You can also use it to thicken a sauce without having to add butter and flour. It’s packed with protein as an added plus! 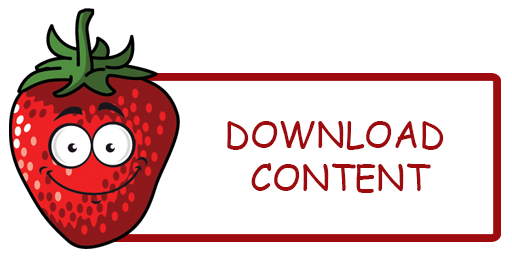 Who doesn’t love a good tomato? If you’re going to make a pizza at home, skip the jarred tomato sauce and use fresh tomatoes instead. It will taste fresh and keep away all of those additives! 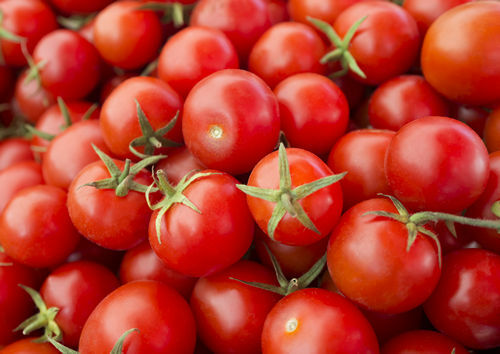 Use fresh tomatoes in spaghetti sauce, too. And don’t forget to use whole wheat pasta. And now that you have that extra-virgin olive oil, you can almost open your own Italian restaurant! Tomatoes are also verrrry good on top of cream cheese and a bagel. And what tuna or egg salad sandwich isn’t tastier with tomato slices on top? Are these pancakes? Nope. They’re corn tortillas. 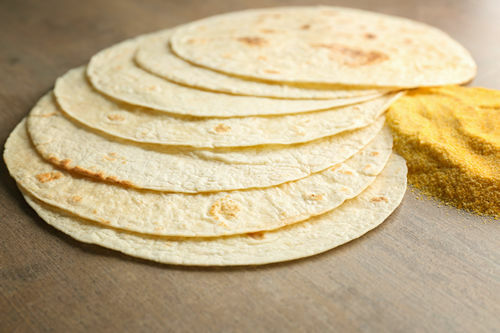 Did you know that a corn tortilla has 58 calories while a flour tortilla has 99? And the corn tortilla has only 42 mg of sodium while the flour one has 204! And when it comes to fat, the flour one has 2.5 grams while the corn tortilla has only 1 gram. And if you buy the corn tortillas packages, they seem to last close to forever in the refrigerator. Now, that’s a bargain! Use them instead of bread and make wraps with them. Heat them and roll them up and eat them with your morning eggs. Put a little topping on them and stick them under the broiler for a snack or treat. Heat them up and put some cottage cheese and cinnamon on them. Oh, boy! See what your kids can come up with. Everyone loves them! The wonderful applesauce! Make sure that you buy the unsweetened kind and you can use it in a lot of baking recipes. You can use it in place of butter and your creation will remain moist and delicious. Applesauce will also substitute for eggs! (Don’t tell the chickens.) 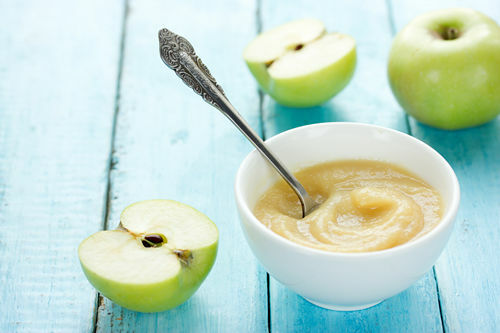 The ratio of applesauce to butter is one to one: if a recipe calls for 1/2 cup of butter, simply sub in 1/2 cup of applesauce. For every large egg a recipe requires, use 1/4 cup of applesauce in its place. And needless to say, applesauce is the perfect side dish for every sandwich and is also good on pancakes and latkes. It’s tradition. 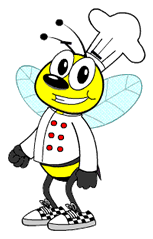 • Use whole-wheat flour whenever you can, in place of white flour. • Greek yogurt works in place of sour cream. You want to buy the all-natural kind. • Ground turkey works in place of red meat for just about anything. • Oatmeal will make healthier meatballs and meatloaf than breadcrumbs will. • Instead of salt, use citrus juice or herbs that you like. Get everyone off the salt kick! • Steam or roast instead of boil. Save those nutrients! • Brown rice or wild rice is healthier than white. You can try bulgur, too. • When you’re baking you can reduce the amount of sugar you’re using by adding vanilla or cinnamon or nutmeg. • Instead of bacon you can try turkey bacon or Canadian bacon. Both delicious. • Don’t butter your pans! Use cooking spray or non-stick pans. Save the calories! Congratulations…you’ve started on your journey.